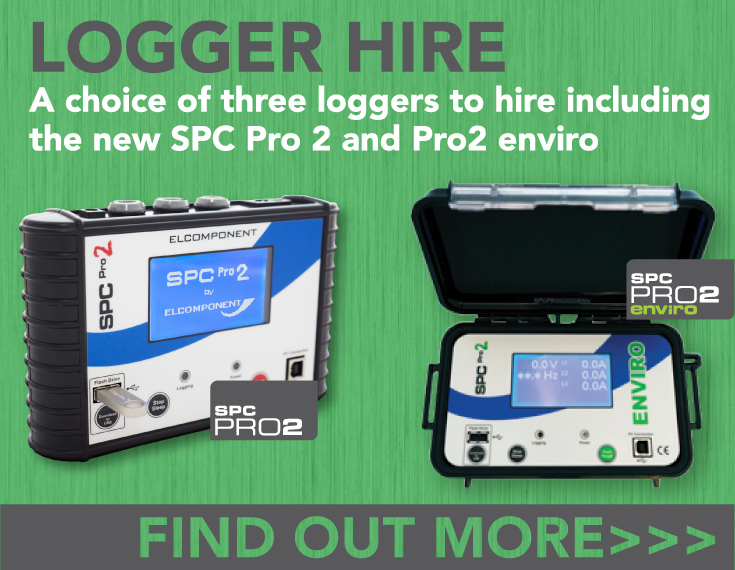 Hire the SPC Pro range of data loggers for energy surveys, meter verification and load monitoring. They are the most non-invasive loggers of their type, so both safe and easy to use. The only voltage connection you have to make is to a standard wall socket, and current measurement is via our superb flex CTs. The SPC's measurement range is from 2 amps all the way up to 2000 amps, and data are stored to a large non-volatile internal memory. Best of all, our PowerPackPro software makes it easy to understand your data and create meaningful reports quickly and effectively - even if you're not an expert. Just connect the SPC Pro 2 via USB to your laptop or PC to setup and download via our acclaimed PowerPackPro softwar. With the SPC Pro 2 and Pro 2 enviro you can download direct to USB. We supply a copy of PowerPackPro software on disk, but you can download it from here as well. The Mk 1 SPC Pro is no longer available to buy, but it’s still a great deal to hire. Housed in a similar Peli case to the SPC Pro 2 Enviro it’s super-tough and offers the same measurement performance as its later siblings. It doesn’t have a USB Flash Drive socket but it still downloads in seconds to your PC or laptop via a standard A to B USB cable (supplied) and offers enough memory for at least two weeks of detailed surveying. CALL CATRINA ON 01279 503 173 or CONTACT US to find out more!